What's Coming to Bridge Park? 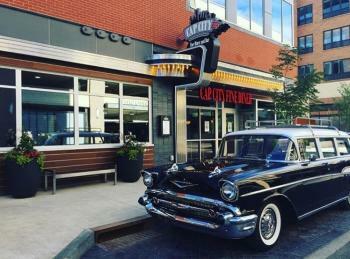 Cap City Diner (OPEN) - This Cameron Mitchell favorite brings comfortable diner feel with an upscale menu that’s artsy and retro. To get the inside scoop and more photos of Cap City Dublin, click here. Fado - This modern Irish Pub is bringing a bit more blarney to the city of Irish Attitude. Fado is Gaelic of "long ago" and is commonly used to start a story. This pub style dining helps to tell the story of Ireland&apos;s culture. Fukuryn Ramen- Looking for some authenticity? This Japanese restaurant brings contemporary ramen preparations with an energetic atmosphere. Kilwins- Your sweet tooth will thank you after a trip to this chocolate franchise. Treat yourself to one of their sweet temptations. 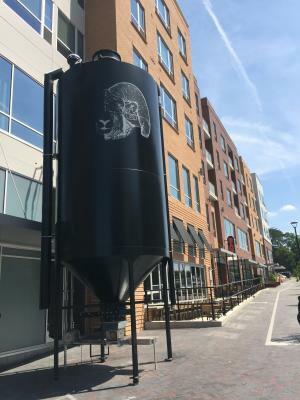 RAM Brewery (OPEN)- Create memories while enjoying handcrafted beer and great food in a family-oriented restaurant. This “deluxe tavern” has gracious hospitality from the moment you walk in. The Avenue- Cameron Mitchell is nothing short of amazing, and this steak tavern brings a sizzling art to fine steaks. 3 Palms Pizzeria- Everybody loves pizza, but not everyone has tried this wood-fired, palm-measured pizzeria. AC Hotels by Marriott- By focusing on the little things, Marriott has a created a beautiful place to stay with an experience unlike any other. Modern meets urban spirited as AC Hotels inspire guests with European-inspired spaces. This hotel is also home to Dublin&apos;s first rooftop bar, Vaso. Bridge Park- Living in Dublin doesn&apos;t’t have to be suburban with Bridge Park. You can live, work and have walkable access to the amenities you use almost every day. Tuller Flats (OPEN)- 420 residences ranging from one-bedroom apartments and two-bedroom townhomes, these luxury units are designed for empty nesters and young professionals to make commutes short and easy. Commercial Real Estate- Whether you’re looking to buy or lease commercial space, this innovative space will be a perfect fit for your company’s needs. The Exchange (OPEN) - Cameron Mitchell Premier Events unveiled the newest event space and venue called The Exchange opening Summer 2017 in Bridge Park. Anthony Vice Nail Spa- This upscale nail spa offers perfect technique for excellent beauty to their loyal customers. Rejuvenate with a relaxing day to yourself. Spavia - Experience a day of pure relaxation with a hot stone massage or a nourishing antioxidant wrap. Whatever you need, the staff at Spavia will personalize your experience to fit exactly what you are looking for. Pins Mechanical Company- Duckpin bowling, pinball, ping pong, old-school entertainment mixed with craft beer and cocktails makes for an adult haven to chill and be alternative with a night out with friends. Mesh Fitness (OPEN) - Get fit with a gym built around you and for you. With flexible options, you only pay for what you use. Riverside Park- Enjoy the scenic views and natural beauty Dublin has to offer with the newest park being developed. 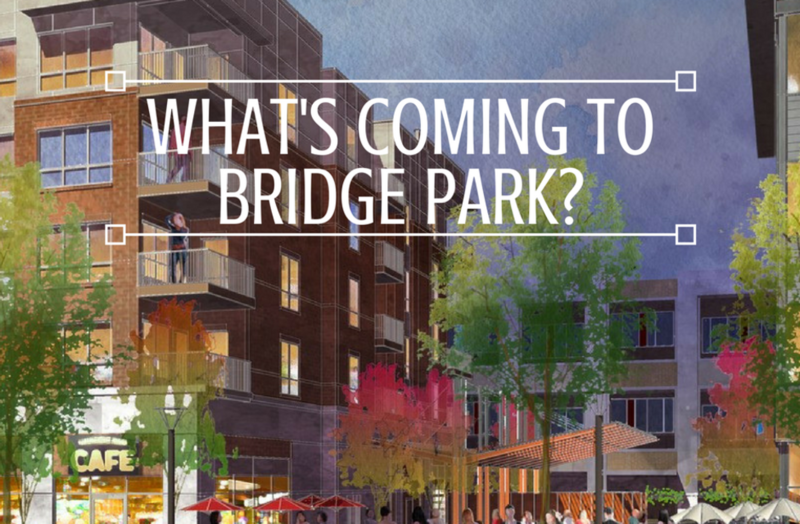 Keep up to date with all the Bridge Park announcements and tenants HERE.